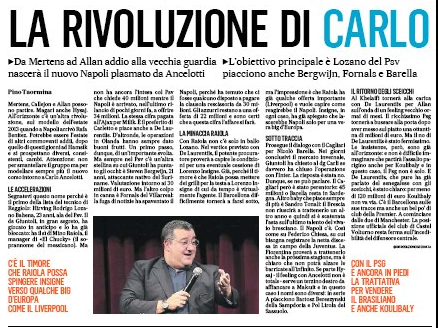 On Monday, we covered a story from La Repubblica that claimed Liverpool had made a €70m offer for Napoli’s Lorenzo Insigne. This was meant to be for the summer, and Mino Raiola was said to be ‘hestiant’ to let the Serie A club’s president know about it, even if the answer was already known (no, we want €150m). Not much was made of it the following day, as we expected Il Mattino, the normally rather reliable local newspaper, to have something on it, but nothing came up. On Wednesday, however, the Italian outlet do bring it up, even if it isn’t the confirmation we were looking for. 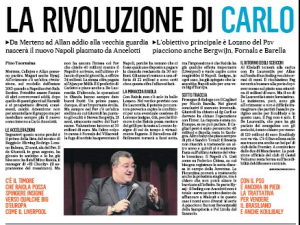 According to them, people are ‘under the impression’ Raiola has a few ‘important offers’ in front of him, who wants to see how Napoli react to the situation. Liverpool are mentioned in brackets next to the ‘important offer’ part, but, again, it isn’t a confirmation, and it could simply be the agent is whispering things left, right and centre to try and get his client a new contract. After all, his last renewal was two years ago, and while his form has dipped a bit this year, he still has 11 goals and six assists in 27 appearances so far. Jürgen Klopp’s interest in the 27-year-old isn’t anything new, but it would take a lot to convince Aurelio de Laurentiis to let his star to swap San Paolo for Anfield, even in the summer. Perhaps a three figure sum would do the trick, but will the Reds really go that far? it sees unlikely.